This image was not a part of my recent assignment, but since I was going around the shoreline, I got to see some of the effects of the wildfires on the area. With rich layers of peat underground, the fires can continue to burn undetected. For this reason, large sprinkler heads soak water into the ground that has already burned. What a stark contrast to the beautiful forests that I had seen just minutes earlier. This entry was posted in Land on June 27, 2008 by j0jgvm89bj. Last Friday I shot another magazine assignment. This time I drove inland to visit North Carolina’s second largest natural lake. Lake Phelps is a part of Pettigrew State Park. It encompasses over 16,000 acres and is surrounded by some beautiful old growth forest. This image was made at a very scenic spot called Moccasin Overlook. 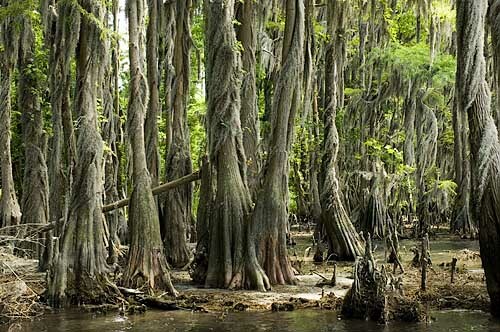 Cypress trees are found around much of the lake, but here one also notices an abundant amount of Spanish moss. It hugs the trees as if someone has come in and wrapped it all around, like garland on a Christmas tree. 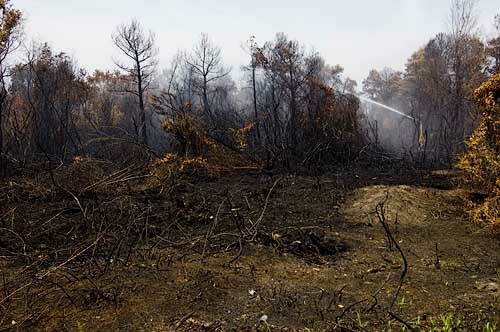 Pocosin National Wildlife Refuge is nearby, and has been fraught with wildfires for the past several weeks. There’s been more than 60,000 acres burned. In order to control the flames, firefighters have been pumping water from the lake, enough to bring the water level down several inches. These Bald Cypress normally have water all around them. This entry was posted in Land on June 25, 2008 by j0jgvm89bj. Among the first images that I made in the early morning of May 26th, on the Portsmouth Village assignment, was the old Methodist Church. Probably the most prominent building in the historic district, it is well restored and maintained. 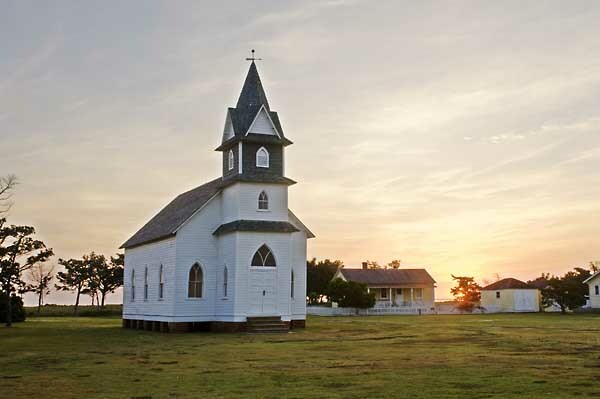 One of the most salient features of the church is it’s list to the right, as a result of exposure to winds and storms. Looking under the building, one can see the old ship timbers that make up the floor framing. Interestingly, many old buildings on the Outer Banks were constructed from salvaged shipwrecks. This entry was posted in Land on June 9, 2008 by j0jgvm89bj. Another shot from my trip to Portsmouth Village, the Henry Pigott house image was taken just minutes prior to the Doctors Creek photo in my previous post. The image shows Doctors Creek looking in the opposite direction. The low light of sunrise was fleeting quickly, and didn’t last very long before turning to bright sunshine. Fortunately as that occurred, the mosquitoes became somewhat less voracious as well. 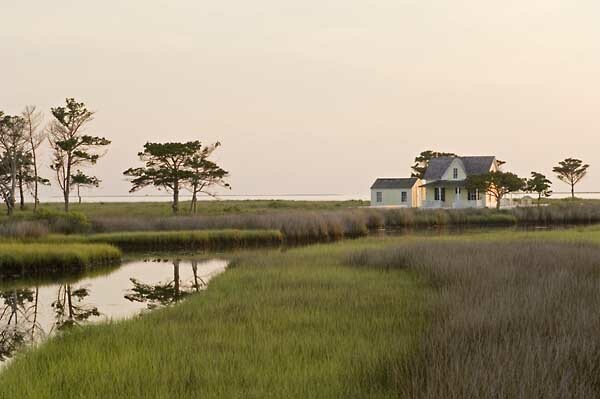 This entry was posted in buildings, history, Land, Outer Banks on June 8, 2008 by j0jgvm89bj.